And as I panicked, I immediately thought: I have to up my marketing, get more out there, work 16 hrs instead of the usual 12. 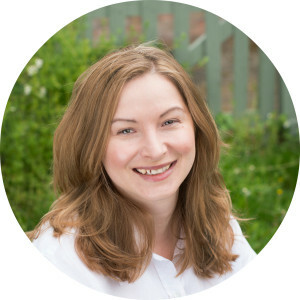 And of course, sometimes that might be the case, but in this blog post I want to concentrate on the times in the year when the business slows down naturally around holidays and seasonal celebrations. Once you’ve been in business for year or two you should be able to predict when these times come, based on your income spreadsheet. If this is your first year and things suddenly slow down, don’t panic, they will pick up again! Put together a super plan of what you going to do (like marketing strategy) for when the ‘dry spell’ is over and schedule it in. For instance, you can plan to launch a new service or product when everyone returns back from summer holiday. Write content for your social media and where possible schedule it in. If you have a blog on your website, plan out the next few months (or even a whole year). 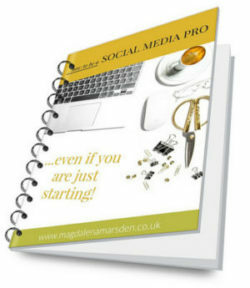 Once you got your blog plan, start drafting some of the posts. You can always come back to them later, but you’ll be glad you’ve started. There are obviously hundred of other things you can do, but no matter what you do, I’m sure you’ll be glad you have done them, when the business picks up again. Want to know what I’m going to be doing this summer? 1 I will be reviewing and auditing all my websites for SEO and looking at some more quality link building. 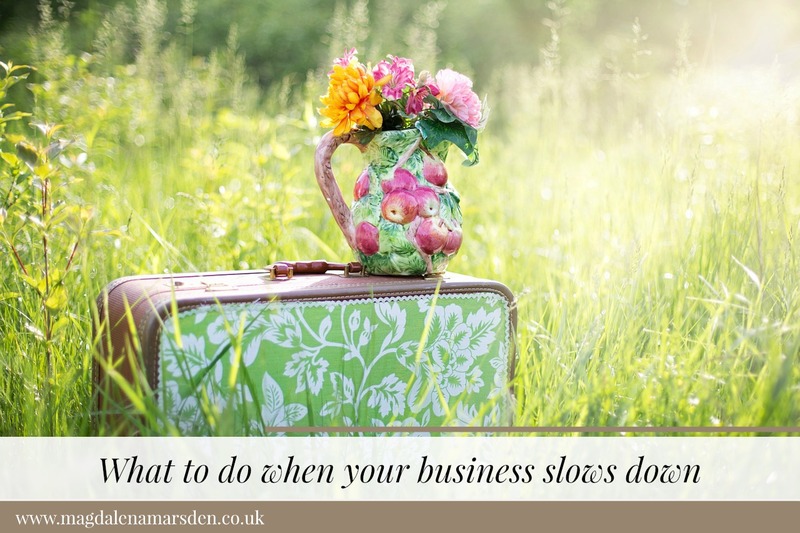 Now over to you, what is your favourite way of strategically filling up the time when business is slow? I simply go with the flow and spend as much time as possible with my kids, but when they are occupied I will catch up on a few jobs, email,blogs, and such. Always doing bits and bobs. This is a very helpful post. It provides food for thought and reassurance. Thanks! Thanks for the list, Magdalena – and the reminder that business is seasonal! Great list of suggestions. Most of my work is with mums, so everything slows down during any school holidays. I give myself a break literally and metaphorically – take time with my grandchildren, enjoy the weather, stop telling myself I should work harder and give myself permission to be at my desk for 2/3 hours rather than 8.